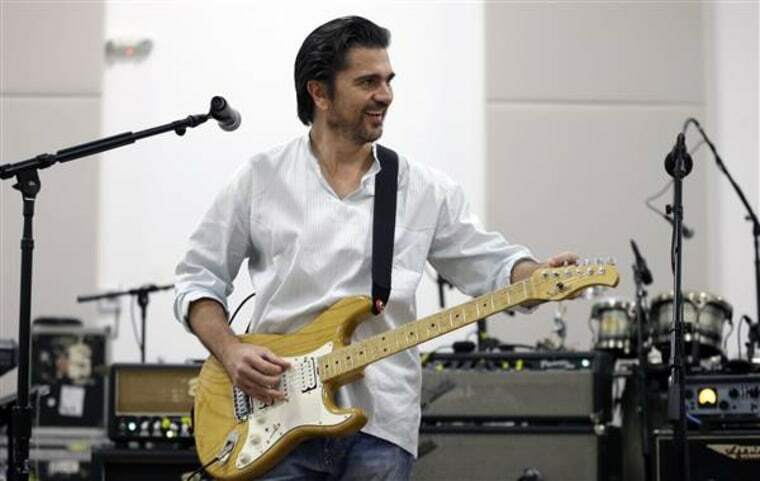 Colombian crooner and award-winning artist, Juanes, will be honoring two legends this weekend. Juanes, alongside renowned artists such as Tony Bennett, Celine Dion, Alicia Keys, John Legend, Adam Levine, Carrie Underwood, and Usher, will be honoring the legacy of the great Frank Sinatra. The artists will be performing renditions of Sinatra's most-beloved tunes.The primetime TV special will air on CBS on Sunday, Dec. 6 at 9 pm. ET. Juanes will also be honoring another legend, John Lennon, in what would have been his 75th birthday. Blackbird in partnership with AMC brings "Imagine: John Lennon's 75th Birthday Concert," at Madison Square Garden. Juanes joins a group of all-stars such as Sheryl Crow and The Roots to celebrate. The special will air on AMC on December 19 at 9 p.m. ET. “It’s beautiful to see so many wonderful and talented musicians come together for this special show to celebrate John’s birthday,” said Yoko Ono on the events website. And, on Dec. 4, the 21-time Latin Grammy winner will be returning to Florida to perform “Este Amor,” the new electric song he made with French DJ Cedric Gervais. This fusion of Electric Dance Music (EDM) and Juanes' Spanish melodies, first premiered at Tampa's Sunset Music Festival. Juanes and Gervais return to The American Airlines Arena in Miami to give another performance. "Este Amor," is now available on iTunes. This new single is also the official anthem of "StoryLand," an EDM festival that is going to be held in Cartagena, Colombia in January. Juanes posted an exclusive inside look on his YouTube channel of his performance with Gervais, on Aug. 7, in Madison Square Garden in New York City.